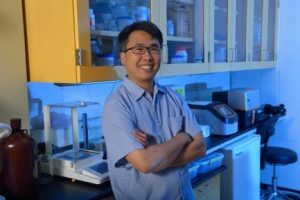 Congratulations to Dr. Erik Hom! Dr. Hom received a grant from UM and the William and Flora Hewlett Foundation to fund the development and integration of Open Educational Resources (OER) in the department’s BISC 336 (Genetics) course. As part of the Z-Degree initiative, a three-year plan to expand adoption of OER in MS, Dr. Hom will create a curriculum based on openly-licensed teaching materials as a means to reduce student textbook costs and improve genetics instruction in our contemporary digital context. BISC 336 (Genetics) is a foundational course required by all majors in Biology as well as those pursuing a career in the health sciences; it is one of the first UM science courses to be funded by this initiative.